The first 10,000 purchasers of Sun Moon Star's 286-12/CD system or CD-Set will receive a free copy of Software ToolWorks' Twist 'n'Shout printer utility in addition to the approximately $2,000 worth of CD-ROM software that comes with these systems. The titles include Microsoft Bookshelf, Microsoft Small Business Consultant, Microsoft Stat Pak, Software Toolworks World Atlas, Software Toolworks Illustrated Encyclopedia, Software Toolworks CD Game Pak, CD Audio Guide, and Hotline II Executive. 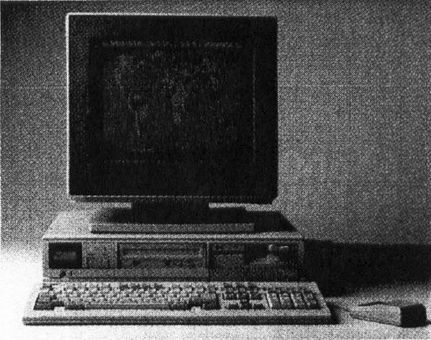 The 286-12/CD system includes a 40MB hard disk, 1MB of RAM, an internal 1.2MB 5¼-inch floppy and a CD-ROM drive, and a VGA monitor. The hard disk comes loaded with MS-DOS 3.3, GEM/3 Desktop, GEM DRAW, PFS: First Choice, and Checkit. The 286-12/CD costs $2,995. The external CD-ROM drive/software bundle comes with an 18-month warranty and costs $995. A world of valuable information is at your fingertips with the 286-12/CD system from Sun Moon Star.